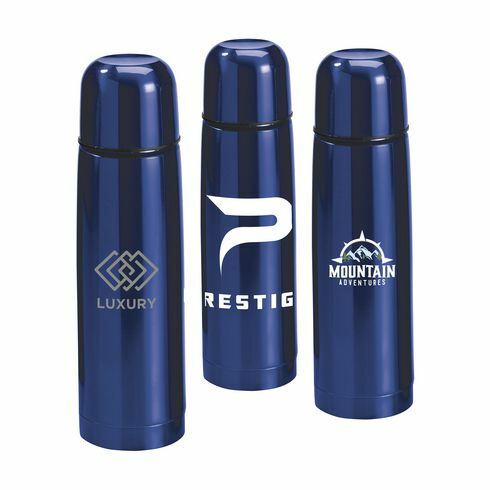 Stainless steel thermo flask with distinctive design and finish. 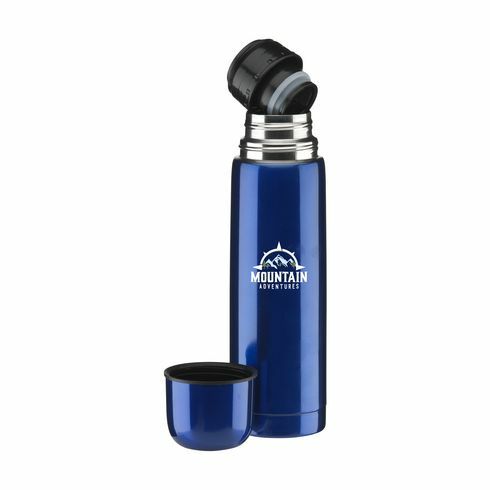 With screw cap/drinking cup and handy press and pour system. 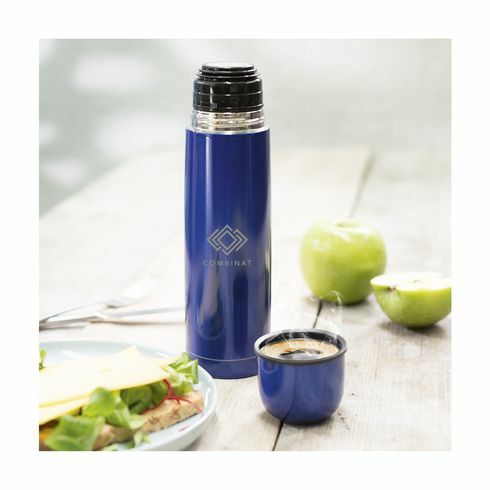 Capacity 500 ml. Each piece in a box.